New Years Eve is the time to celebrate. The end of the old year and beginning of the new is the perfect time to get together with friends and toast in the new start. However planning a party is not easy and can get quite stressful, especially when it’s on the most popular night of the year. On New Years Eve there must be more parties held in the UK than on any other day of the year! Because of this it is important to get your invites out early. 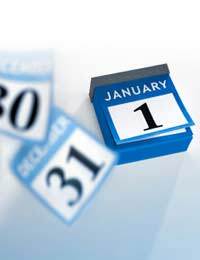 Nobody likes to have no plans on New Years Eve and often people decide how they’re going to celebrate the event weeks and even months in advance. If you plan on having a New Years Eve party then you should let your guests know well in advance. Send out invitations at least six weeks before the day. If people are considering going to a club or event for New Years Eve they will usually have to book their tickets many weeks before the event. Once they have tickets to something they are unlikely to waste them and go to somewhere else. If you don’t want to risk losing all your potential guests to other events then you should get your invites out as early as possible. Aside from great company - Food and Drink are the most important part of a successful New Years Eve party. Consider what type of food you want to serve. Are you going to have a sit down meal or a buffet? If you’re opting for a buffet will it just be finger foods or dishes they will need cutlery for? When it comes to drinks it is normal to ask your guests to bring something along with them. Usually they will bring a bottle of something or some cans of lager to drink themselves. But it is also best to provide some alcohol too. Have a table to act as a bar and get in some spirits and some wine. Don’t go over board though. There’s no point wasting lots of money on alcohol that won’t be drunk. Just make sure you put a note on the invitations asking guests to bring a drink. Nothing makes a party festive like some great decorations. Luckily since New Years Eve is just a week after Christmas you are likely to have your Christmas decorations up still. However, this is a New Years party so add a few more decorations too. Some banners welcoming in the New Year always go down a treat and a relatively cheap to buy. With a little planning and some preparation you can throw a fantastic New Years party that all your guests will enjoy. Just make sure you consider your options well in advance and get those invites out as soon as possible! New Years Eve is a great time to celebrate the beginning of a new year and a new start ,so consider everything carefully before the night and then you’ll be able to have a fun evening enjoying yourself and a successful New Years party.